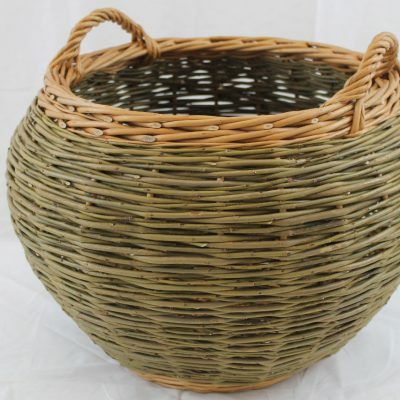 It’s made from buff and steamed willow, but we can make it all buff, which is more traditional, or buff and green or buff and white. 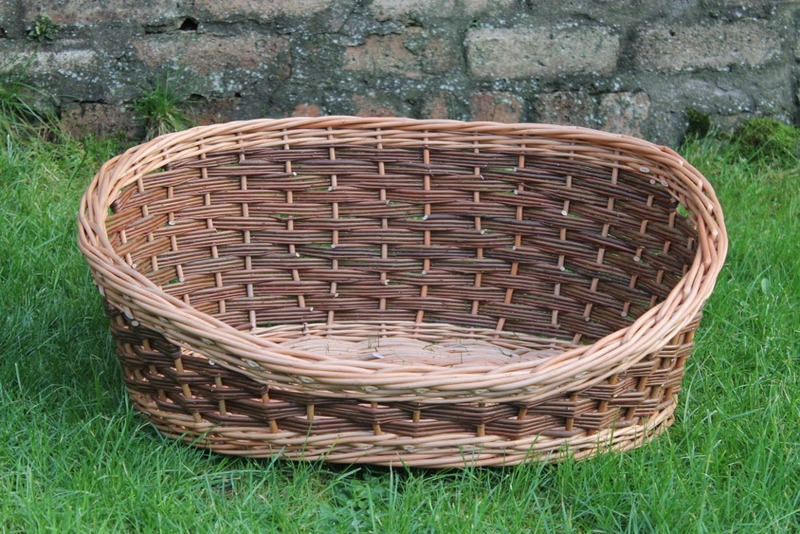 Find out more about the various willow colours here. 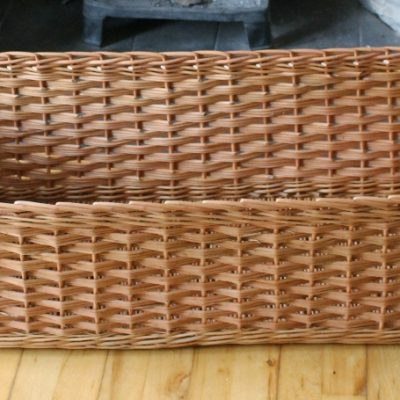 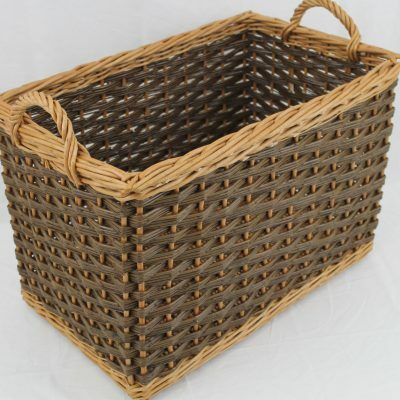 If you are thinking of having a dog basket made and would like a quotation, or any help or advice, please give Alison a call or send an email.